The best gift of all is the one you share with someone else. . .
From the moment he strode through the iron gate and into the offices of Two Love Lane on a crisp December day, it was obvious that Deacon Banks was something different. He wasn’t a Charleston native, not with that adorable Yankee accent. And unlike the usual client at the elegant matchmaking agency, he had no interest in finding a woman to marry—just a few no-strings dates while he was in town. Macy Frost takes her professional services very seriously—how could she not, when she’s rumored to be a direct descendant of Cupid? Tech entrepreneur Deacon says he’s just trying to make his social-climbing aunt happy by being seen out and about with a few prominent beauties, but Macy insists she can make her client fall in love…for real. And Deacon can’t help but think she might be right. As charming as the palmetto trees and magnificent harbor may be, it’s the beautiful, breath-of-fresh-air Macy who’s become Deacon’s favorite part of the scenery. But can the hopelessly romantic Southern belle stop trying to fix him up and just let Cupid do his work on her own heart? 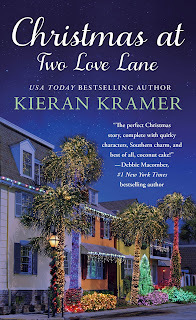 Kieran Kramer, author of the Impossible Bachelors series, was born in Washington, D.C. to an Air Force pilot father and actress/singer mother. She grew up mainly on Johns Island, a rural sea island near Charleston, South Carolina, where she helped build her family’s log home. Having worked for the CIA and as journalist for The Charlotte Observer, Kieran is now a stay-at-home mom. She once won $34,000 on Wheel of Fortune, and also won on Family Feud. She’s been married to her naval officer husband, Chuck, for twenty-one years, and they have three children. In the last year, George's life has drastically changed. The formerly homeless veteran now has a job he likes, a family in the residents of Darling, VT, and for the first time in years, a home. 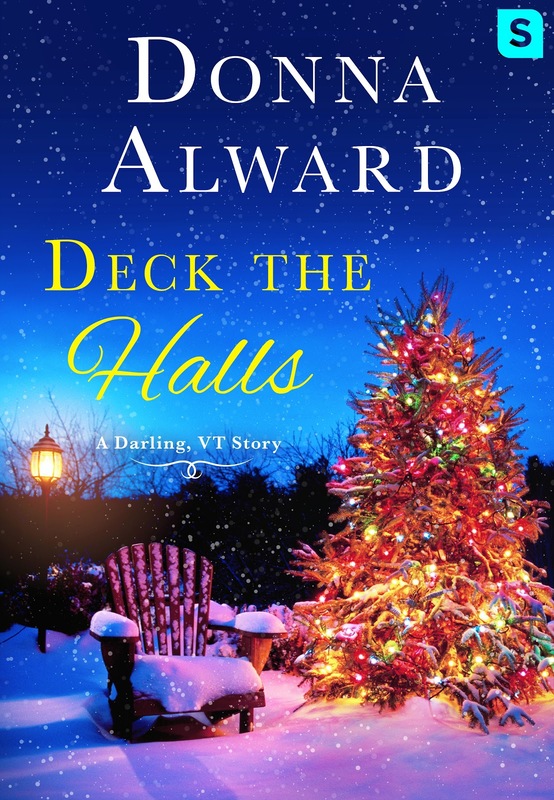 But while his present is good, he's still haunted by the past, a past that appears shortly before Christmas when the older sister of his brother-in-arms hunts him down and finds him in Darling, working at the Ladybug Garden Center. Amy’s looking for closure for her family after her brother's death in the Middle East, but the serious man she finds working in Vermont doesn’t resemble the soldier she remembers from years before. This man is hardened and yet somehow fragile, too, and in her desire to find out what really happened to her brother, she learns more about George than she ever expected. A busy wife and mother of three (two daughters plus the family dog), Donna Alward believes hers is the best job in the world: a combination of stay-at-home mom and romance novelist. Donna loves being back on the East Coast of Canada after nearly twelve years in Alberta where her romance career began, writing about cowboys and the west. She is the author of Somebody Like You, Somebody's Baby, and Someone to Love. Will has believed in love at first sight since the day he first laid eyes on Mina Harper five years ago. There was only one problem: She was happily married. Then, when Mina’s husband was killed by a drunk driver, Will figured she’d want nothing to do with a guy who owns a whiskey distillery. So he’s kept his feelings locked away, knowing that not even a Christmas miracle would be enough to melt Mina’s heart. . .
Mina believes her days of true love are behind her. Since losing her husband she’s kept to herself, content to do her own painting and stay out of the limelight that comes with her famous family. But when, after a freak accident, Will comes to her rescue, Mina can’t quite get him out of her mind. 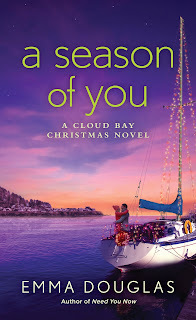 As curiosity turns into a fling during Cloud Bay’s first Christmas Festival, she finds it harder to convince herself that her feelings for Will are just mistletoe-inspired. Could Mina be ready to lay the past to rest and finally admit that what she really wants for Christmas—and forever—is Will? Emma Douglas would love to live in a world where professional napping was a thing. But until then, she thinks writing books is a pretty awesome alternative. When not writing about imaginary people, she can be found reading, doing something crafty, binge-watching TV, playing her latest song crush on repeat, or singing badly in her car. She lives in Melbourne, Australia in a tiny house stuffed full of books, too many craft supplies and two cats who take up more space than you would expect. 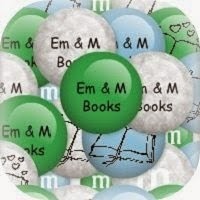 Find out more about Emma at www.emmadouglasbooks.com. A wallflower determined to fulfill a dying promise, the rogue she jilted years ago, and an orphaned baby are all brought together amidst the magic of Christmas in this new novella from Manda Collins. Miss Merry Parks makes a deathbed promise to a schoolfriend that her infant daughter will be taken to her absent father. There’s only one problem—to find the baby’s father, she’ll have to consult his cousin, Viscount Wrotham, the man she jilted five years ago. The man she couldn’t forget. Alex Ponsonby, Viscount Wrotham, is stunned to find Merry Parks—looking more lovely than ever--on his doorstep with an infant in her arms. His shock soon turns to dismay when he learns his own cousin William is the man who abandoned his wife and child. As head of the family he’s duty bound to see right is done. But he can't let this opportunity pass. He’ll take Merry and the baby to his cousin, but he’ll woo her back in the process. 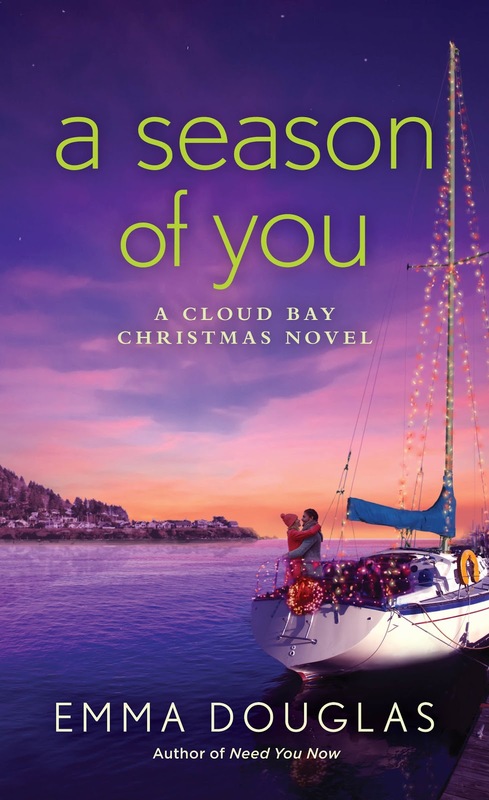 Merry agrees to travel with Alex and the baby to Wrotham Castle, where the entire Ponsonby family has gathered for Christmas, but her plans to see the baby settled then leave are ruined by a snowstorm. After five years apart, Alex and Merry will spend the week getting reacquainted. Perhaps it’s the spirit of the holiday, or the magic of the season, but there could be something else in the air this Yuletide…A Christmas Reunion. 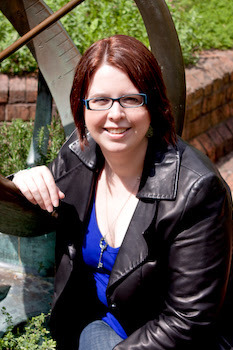 Manda Collins is the author of the Studies in Scandal series, The Lords of Anarchy series, The Ugly Duckling series and the Wicked Widows series as well as several other Regency-set romances. She spent her teen years wishing she’d been born a couple of centuries earlier, preferably in the English countryside. Time travel being what it is, she resigned herself to life with electricity and indoor plumbing, and read lots of books. When she’s not writing, she’s helping other people use books, as an academic librarian. Sydney Ragsdale is divorced, but her husband is still calling the shots. In an attempt to shake free from his hold, she and her daughter, RayAnne, head for tiny Hopewell, North Carolina to the only asset her ex has no control over – a decaying farmhouse that once belonged to her grandparents. She finds solace at The Book Bea, the bookstore she’d loved as a child during her summer stays. Kevin MacAlea, Mac to his friends, is the local high school history teacher and baseball coach. Father of a twelve-year-old son, he’s Hopewell, North Carolina’s most sought after bachelor. His young bride abandoned him and his son just before Christmas and has never come back. It has left his son bitter about Christmas which is hard for Mac who loves the magic of the season. He’s been the Santa here in Hopewell since the year Seth was born. 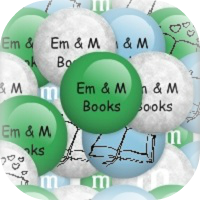 When a catastrophe forces The Book Bea to close before the end of the year, everyone in the small town is feeling the loss. While Sydney is already off-balance by the bad news, her ex-husband breaks a promise to their daughter that sends Ray Anne running away. As Sydney tries to figure out what her next steps are she discovers all of the answers are right here in Hopewell. 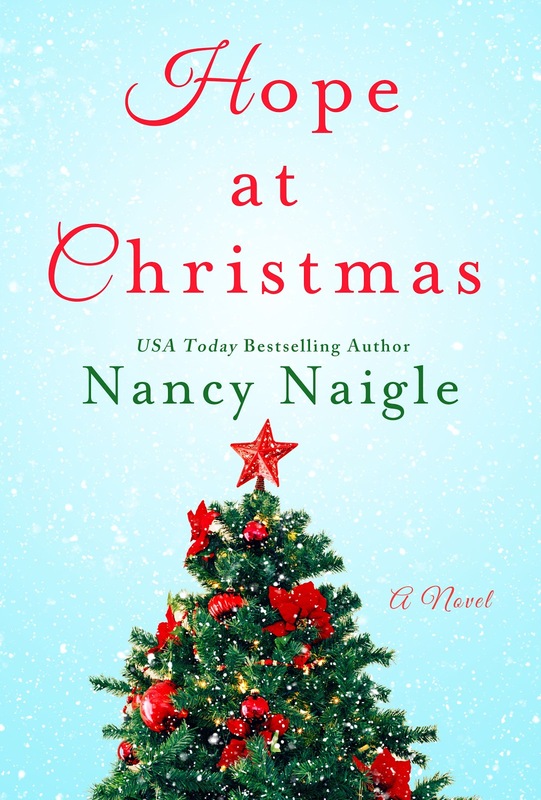 USA Today bestselling author NANCY NAIGLE whips up small-town love stories with a dash of suspense and a whole lot of heart. Now happily retired, she devotes her time to writing, antiquing, and the occasional spa day with friends. A native of Virginia Beach, she currently calls North Carolina home. 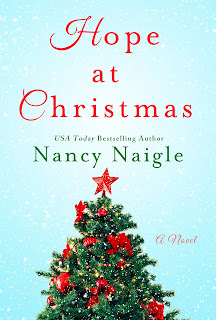 Nancy is the author of Christmas Joy. New York Times bestselling author Donna Grant returns to Texas, where a small-town legend just might find the greatest gift of all. . .
’Tis the season for ex-Navy SEAL Clayton East to come home for the holidays—even if the mood at home is anything but festive. His father is ill. The East Ranch is in financial trouble. And now it’s on Clayton, the prodigal son, to make sure his family doesn’t lose everything. Headstrong Abby Harper is like a mother to her younger brothers, who she’s helped raise since she was a teenager. Keeping them in line is no small task while she’s also working toward her college degree. And now that one of her brothers has been arrested for stealing cattle at the East Ranch, Abby is at her wits’ end. But there is a silver lining: Clayton East. 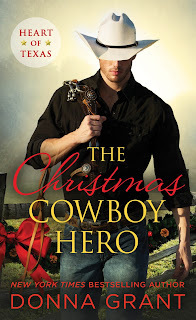 He believes in second chances, and is willing to give one to her brother this Christmas. Letting beautiful Abby—and the inescapable longing in his heart—off the hook, however, is a whole ’nother story. Could it be that the woman of this local hero’s dreams has been back at home all along? 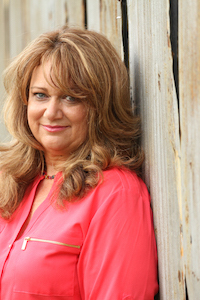 New York Times and USA Today bestselling author Donna Grant has been praised for her “totally addictive” and “unique and sensual” stories. 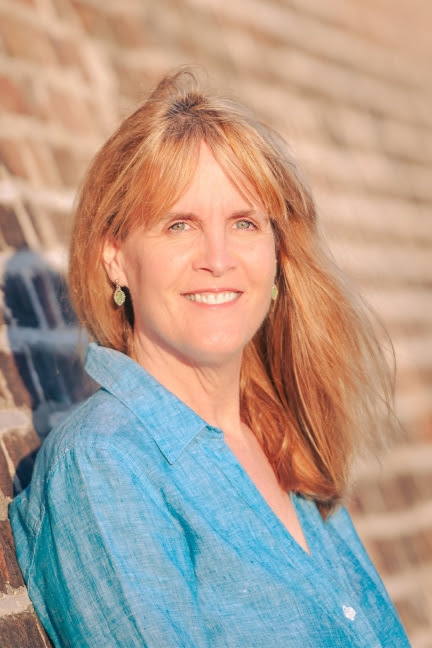 She’s written more than thirty novels spanning multiple genres of romance including the bestselling Dark King stories, Dark Craving, Night’s Awakening, and Dawn’s Desire. Her acclaimed series, Dark Warriors, feature a thrilling combination of Druids, primeval gods, and immortal Highlanders who are dark, dangerous, and irresistible. She lives with her two children, a dog, and four cats in Texas. Tis the season to fall in love! These five bestselling authors bring you great tiding of highlanders and romances this holiday season! A village harlot who would never dream she could have a different life meets a Highlander who visits for the holidays and brings with him an offer and hope. When a snowstorm forces a charming lass hiding a broken heart to take shelter in a castle with three fine Highland lairds just days before Christmas, there’s a game afoot—who will be the first to win a kiss and maybe her heart. 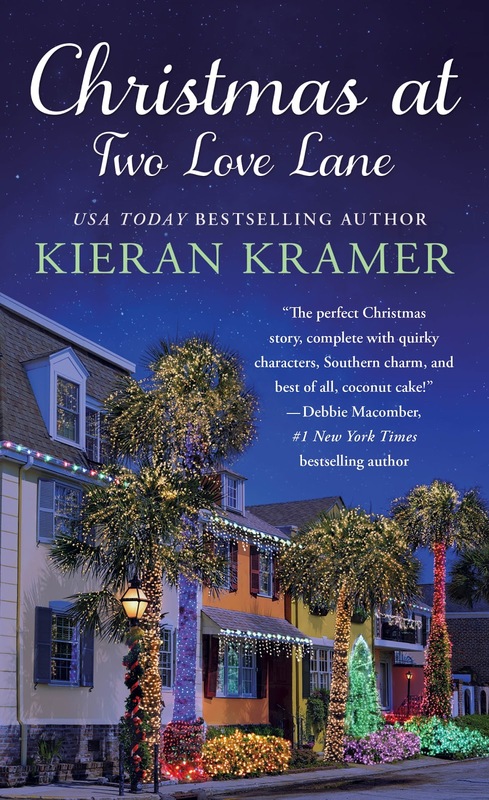 She's ready to embrace her life and future as a spinster, he's trying to have one last hurrah before he gives into his family's wishes and proposes marriage to his neighbor, but fate has other ideas when the lady and the Scot meet at a holiday house party in the wilds of Scotland. What happens when a highlander finds himself stranded, maybe kidnapped, with an English lady around Christmas... maybe the mistletoe will help answer that question. An encounter between an English officer and a desperate aunt trying to keep custody of her young niece leads to a little magic during the holidays.